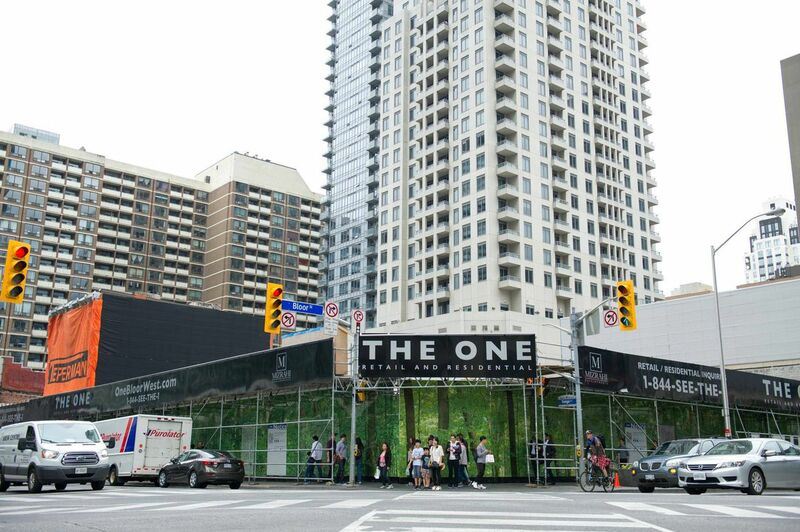 One Bloor St. W. in downtown Toronto, seen in June, is set to be the home of Canada’s tallest condo tower. Surviving what he has called a smear campaign, developer Sam Mizrahi has secured hundreds of millions of dollars in financing to build Canada's tallest condo tower at Toronto's coveted intersection of Yonge and Bloor Streets. Excavators and a pile driver have been at work on the site in recent weeks, drilling more than 35 metres down to prepare the foundation for 1 Bloor West, which is being marketed as The One. The 85-storey luxury condo and retail complex will cost an estimated $1-billion to build and, when completed at 306.3 metres high, will take its place as the second-tallest structure in Toronto, behind the CN Tower. But a legal battle with former business associates, as well as the anonymous distribution of brown envelopes to prospective lenders containing some of the allegations in the fight, made Mr. Mizrahi's attempts to find financing more difficult, according to court documents. However, after a series of deals signed in late August, Mr. Mizrahi – who has never steered a project this size – has the deep pockets he needs lined up. "For me, I don't focus on the negatives. I focus on the positives and how do we execute and move forward and build a future," Mr. Mizrahi said. "You're always going to have challenges whenever you're building anything of greatness." His construction financing is coming from a newly formed Canadian subsidiary of a Beijing-based state-owned enterprise, the China-East Resources Import & Export Co. (CERIECO). According to land-registry documents, Mr. Mizrahi's project has issued a $213-million debenture to CERIECO. Mr. Mizrahi says the company will also provide more cash as required to see his tower rise. The project has also secured a first mortgage for $135-million from Firm Capital Corp., a real estate lender, at an annual interest rate around 9 per cent. It is among the largest loans Firm Capital, run by CEO Eli Dadouch, has on its books. It comes due Sept. 1, 2018, with the potential for a renewal of one-year. Plus, Mr. Mizrahi, who has partnered with the family firm behind Coco Paving from the beginning, has another set of new lenders: A second mortgage, worth $61.5-million with a 13-per-cent annual interest rate, from a newly registered company called One Bloor Lender GP Inc. The company is a partnership between Toronto's established Westdale Construction Co. Ltd., which was an investor in the One Bloor East tower across the road, and a company controlled by Toronto billionaire Barry Sherman, founder of generic-drug giant Apotex Inc.
A groundbreaking ceremony is set for Thursday, while a launch for real estate brokers is scheduled for Roy Thomson Hall on Oct. 16 and a sales centre is slated to open Oct. 23. Mr. Mizrahi says he has 7,000 names on a waiting list for 416 units. Units will range from $1,200 to $3,000 a square foot, Mr. Mizrahi said. Four three-storey penthouses will have price tags at more than $20-million. The first 18 storeys will feature restaurants, event spaces, two major retailers including one international anchor tenant – Mr. Mizrahi would not say whom – plus a boutique hotel that will take up 11 floors. It is all slated for completion by 2022 or 2023. His search for new backers began after his largest initial lender, the Canada Real Estate Investment Trust (CREIT), said in 2015 it was opting out of a potential equity stake as the project's shifting focus toward condos no longer fit with its business model. CREIT had helped finance Mr. Mizrahi's original purchase of the land for $227-million in 2014. But the bid for new financing was complicated by Mr. Mizrahi's legal battle with his former associates. Khashayar (Khash) Khavari and his brother-in-law, Mohammad Mahdi Tajbakhsh, filed a lawsuit in 2015, alleging Mr. Mizrahi misappropriated funds from two previous mid-rise projects. They also claimed a stake in Mr. Mizrhai's profits from 1 Bloor West. Mr. Mizrahi denies all of the allegations and has launched a countersuit. Last August, a judge turned down a bid by the plaintiffs for a court-ordered investigator to oversee Mr. Mizrahi's operations. A lawyer for Mr. Khavari, Simon Bieber, said in an e-mail his client was pleased the 1 Bloor West project appeared to be going ahead: "We have always wanted the project to move forward." Mr. Mizrahi also says he was subjected to a smear campaign that saw information about the case distributed to potential lenders and the creation of an anonymous website, that has since shut down. In May, Mr. Mizrahi filed a defamation suit against the unknown people behind the website. 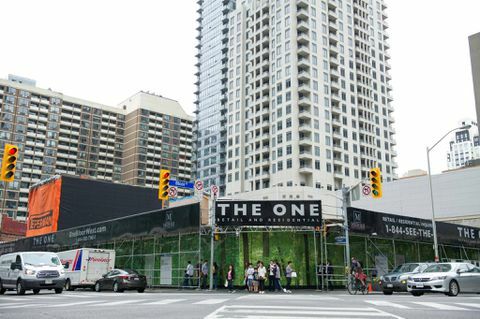 Industry experts expect Mr. Mizrahi to have little trouble selling as the market for condos in Toronto seems undiminished by the cooling in the wider real estate market. "It's probably the most premiere location in the entire city, if not the entire country," said Ben Myers, senior vice-president of market research and analytics for Fortress Real Developments. "It's a signature project. It's basically a once-in-a-lifetime opportunity."